Your home’s lawn will define its curb appeal. If you invest the time and energy into maintaining it, it will improve your home’s curb appeal. But if you neglect your lawn, it will bring down your home’s curb appeal. While different types of lawns require different steps to maintain, most residential lawns can be maintained in the five following ways. Mowing is essential to maintaining a healthy lawn. It creates a uniform appearance while discouraging the growth of weeds and other invasive, unwanted plants. A good rule of thumb is to mow your lawn once a week during the summer and once every other week during the fall. Of course, lawns need water. Otherwise, they’ll turn brown and die. Depending on the climate, Mother Nature may provide enough rainfall to hydrate and protect your lawn from dryness. If it’s been a week or longer without rain, though, you should set up a sprinkler to hydrate your lawn. Even if you mow your lawn regularly, you may discover weeds emerging through the topsoil. Whether it’s dandelions, crabgrass or chickweed, weeds are a serious problem. 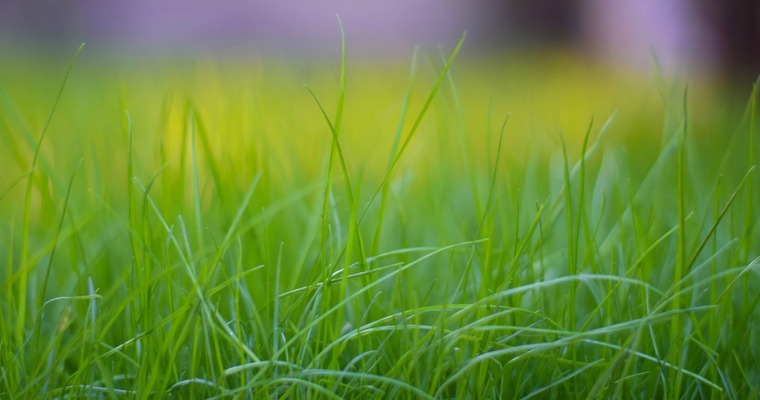 Not only do they hurt your landscape’s aesthetics by creating a messy-looking lawn; they also consume valuable nutrients and moisture that your lawn’s grass would otherwise consume. You can remove weeds on your lawn using a week-killing product, or you can remove them by hand using a special weed-removing tool. Another essential form of lawn maintenance is raking leaves. Assuming you have one or more trees growing on your lawn, they’ll probably shed their leaves during fall (hardwoods will, at least). Neglecting to rake and remove these leaves will result in a layer of organic matter blanketing the grass. When this occurs, the grass won’t receive enough sunlight needed for healthy growth. Furthermore, the dark, moist environment under the leaves increases the risk of fungal disease. While not always required, reseeding is beneficial if your lawn develops bare patches. If you discover an area of your lawn where the grass is brown, thin or dead, sprinkle some new grass seed over it. After a few weeks, you should see grass emerge through the barren patch, thereby creating a more attractive and complete lawn that boosts your home’s curb appeal.